OMG OMG OMG! 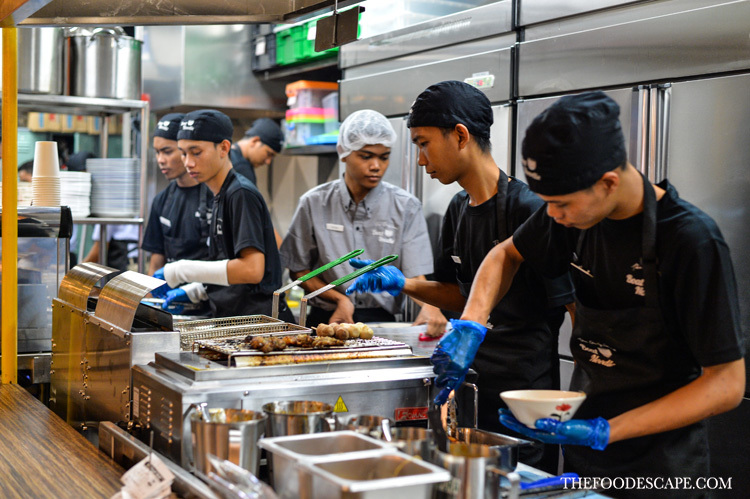 We are very excited to tell you that the FIRST Thai Boat Noodle shop finally opens here in Jakarta, hurray! We got the heads up last year but didn’t hear much afterwards so we were very surprised when we were invited to try this two weeks ago. Both I and Mr. K are avid fans of Thai Boat Noodle (especially Ayutthaya style, more on that later!) 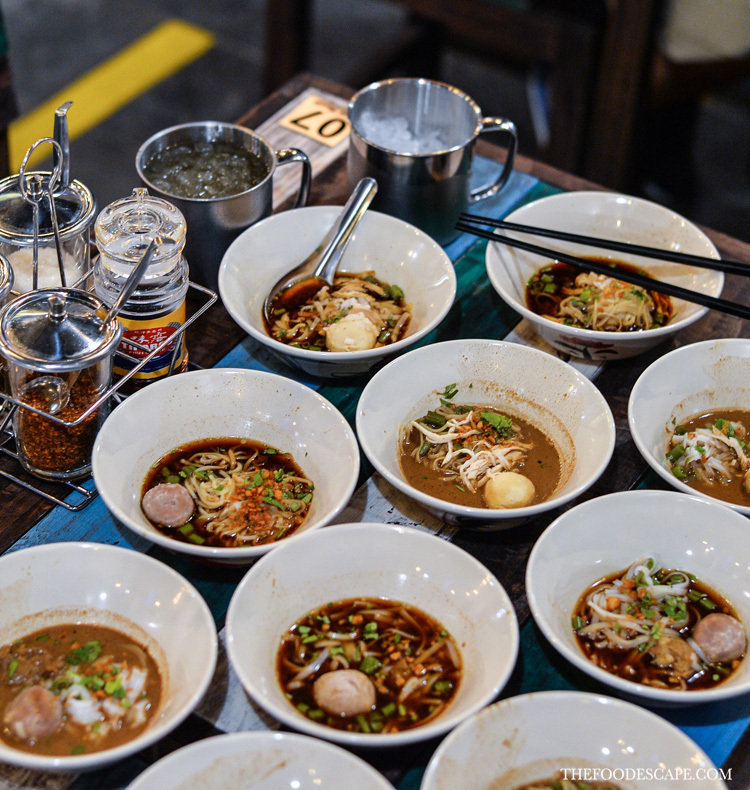 and we couldn’t wait to visit and have our first boat noodle here in Jakarta! 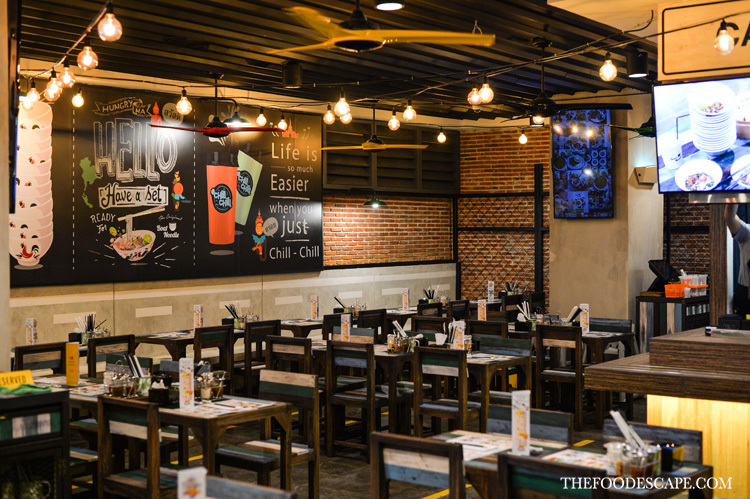 Starting their first outlet in Empire Damansara in 2014, this Boat Noodle shop is originated from Malaysia, but they have been making authentic Thai boat noodle as close as what we find in Thailand. The restaurant name says it all, simple and on point, Boat Noodle, with tagline of Thai Street Food. 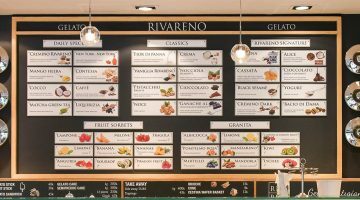 Located on the UG level of Mainstreet Dining area in Gandaria City, the shop is opposite to BCA ATM area and the huge, bright signage is definitely attractive enough to pull people in! The crowd of Boat Noodle during the first week of opening. 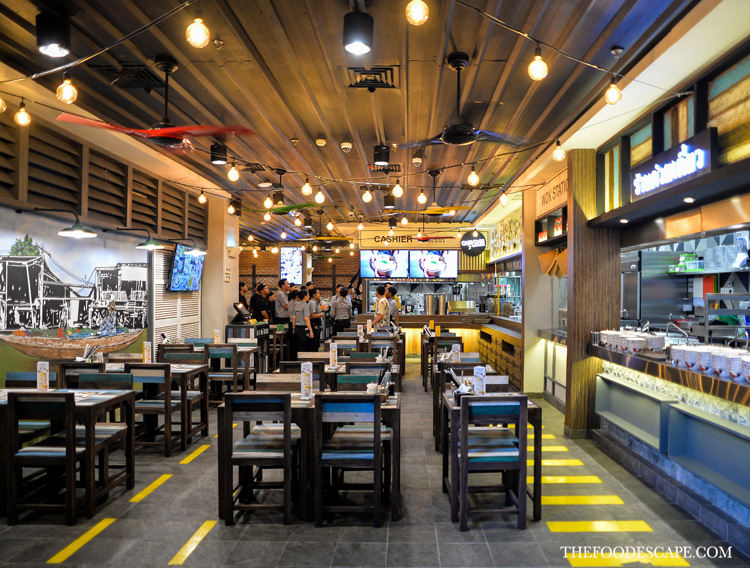 This Boat Noodle restaurant is actually quite big for a restaurant in shopping mall, and with ambience made so close to Thai-style restaurants, we immediately felt so comfortable. 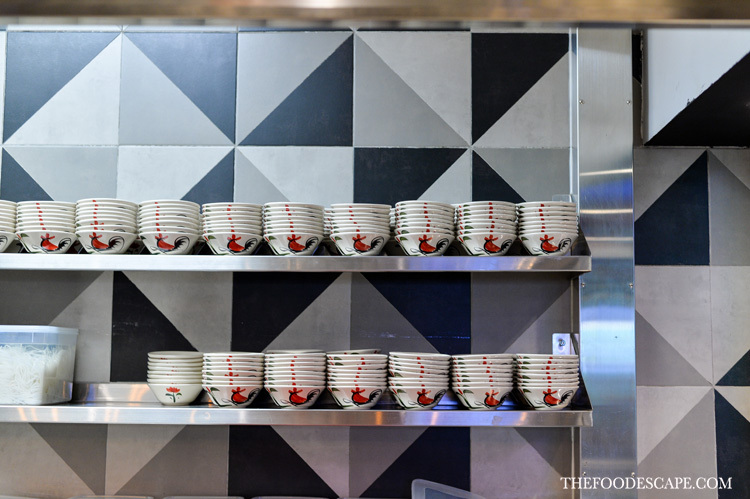 There are only small wooden tables organized neatly in rows, and the best thing is that they have open kitchen concept so we can witness the magic happens! 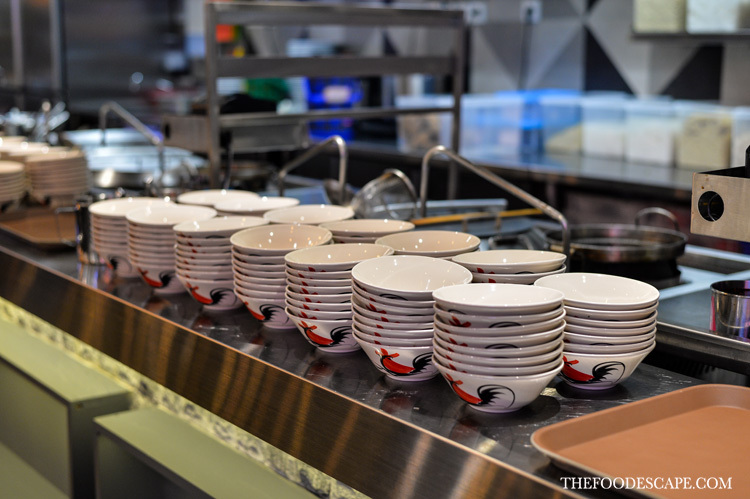 Stacks of mangkok ayam (the infamous white bowls with rooster logo on them) added the authentic feeling of the place since that’s what you normally see in Thai’s boat noodle stalls! 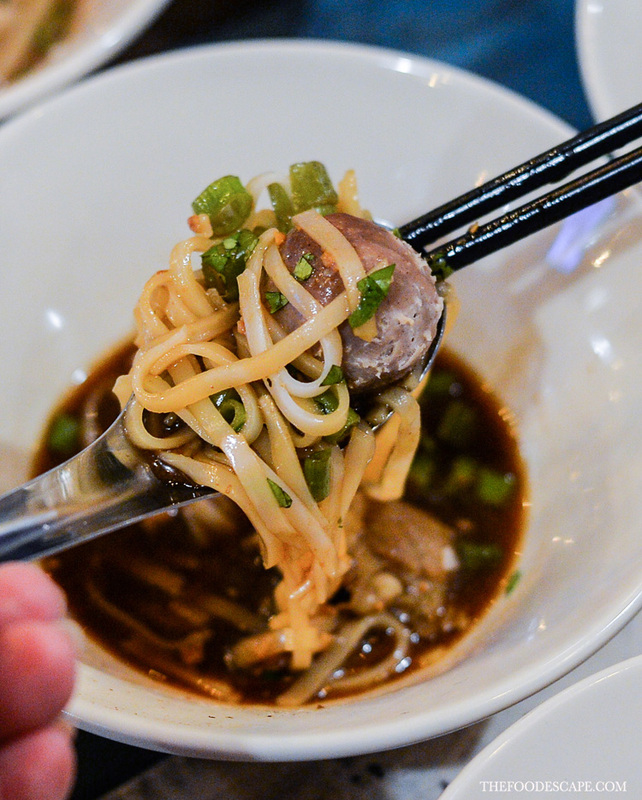 A little history about Thai boat noodle which I find very interesting, let me share to you! In 1942, there was a big flood in Bangkok, and basically everyone had to ride on boats for transportation. One day, a person sold a noodle to a government parliament staff from his boat. Because the flood continued for a while, government encouraged more people to learn and sell it. 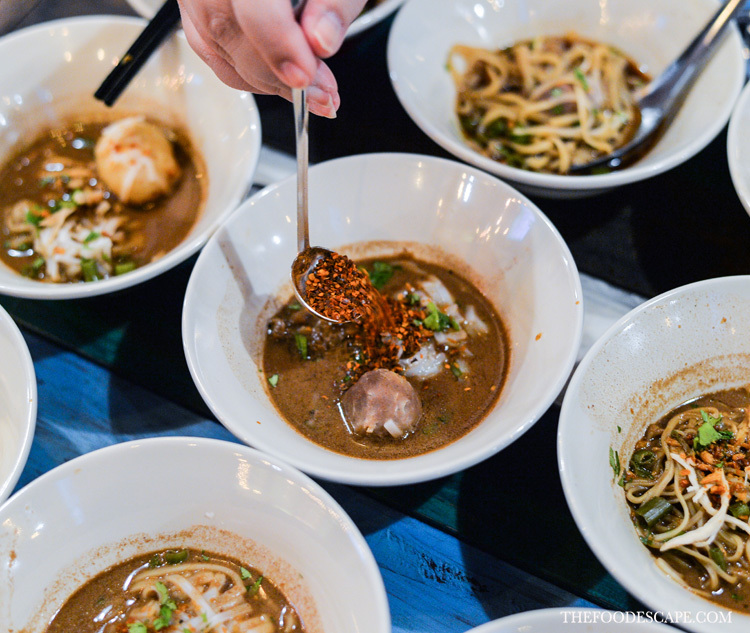 Originally, the only meat used in the boat noodles was beef, and the reason why it’s served in small bowls is to prevent spilling and make it easier passing the bowls from boat to boat. 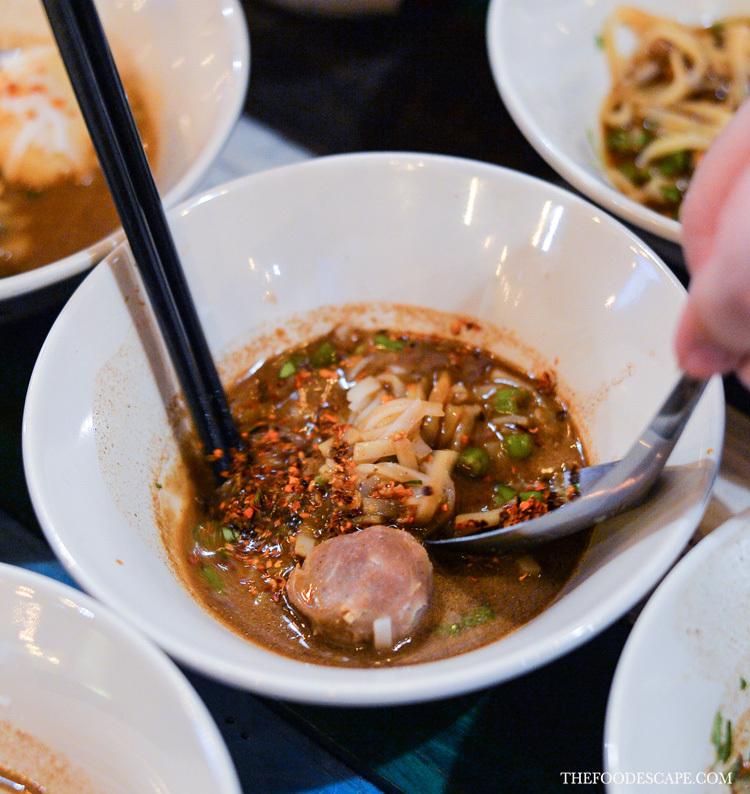 It’s also said that to make the dark, rich-flavored broth, Thai people use no less than 10 herbs and spices. The original reason why they used a lot of herbs and spices was to reduce the bad smell of other ingredients such as meat and such. Nowadays you can normally see in Thailand, they put pig’s blood in the soup and it becomes more tasty. 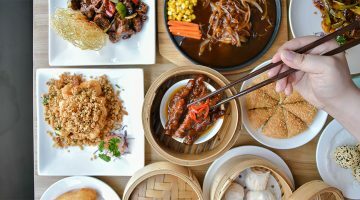 However, in this Boat Noodle restaurant, they only serve beef and chicken to ensure the halal status, and of course, no blood is involved in the making. 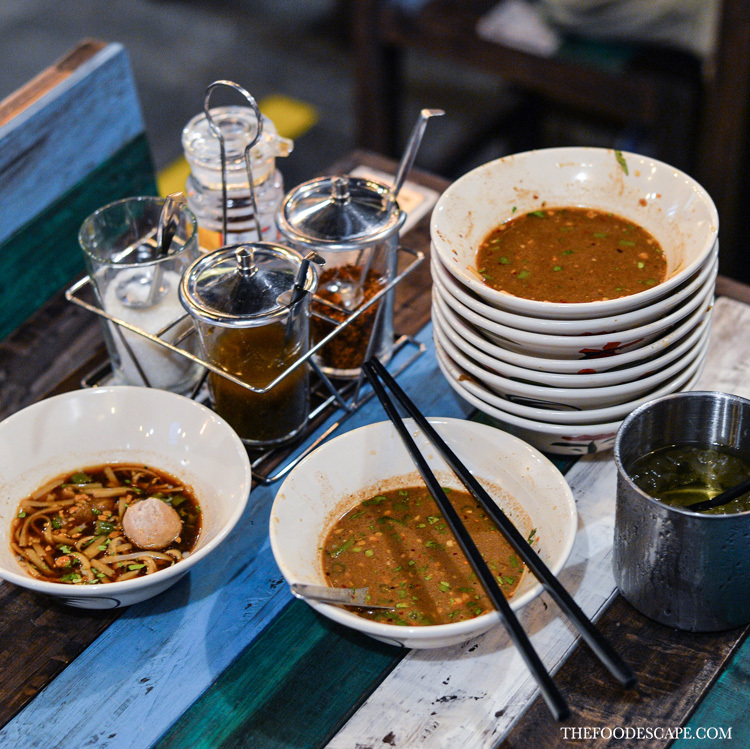 Here in Boat Noodle, you can try 2 different kind of broth: Pathumthani & Ayutthaya. While I have always been a fan of Ayutthaya-style, I have taken a liking to the Pathumthani-style as well after the last 3 visits. 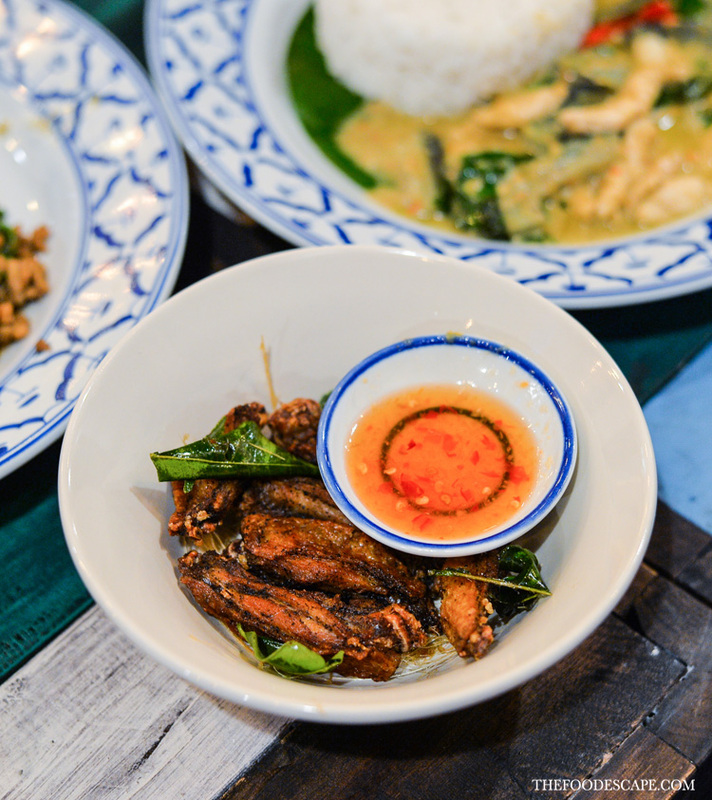 Basically, Pathumthani-style is a dark soy sauce broth with sour-ish and delicate spicy flavor, while Ayutthaya-style has more intense flavor with creamy dark broth, using no less than 10 herbs and spices. 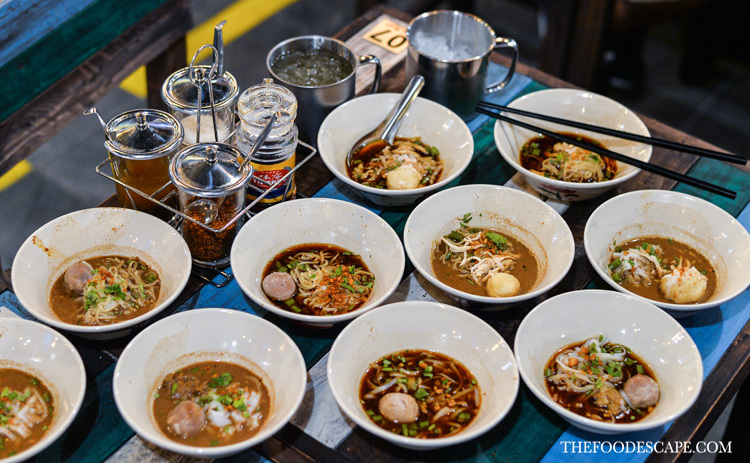 The boat noodle is priced at IDR 8,500/bowl, while in Thailand it normally costs around THB 15-20 (around IDR 6,000 – 8,000), so the price is very reasonable. 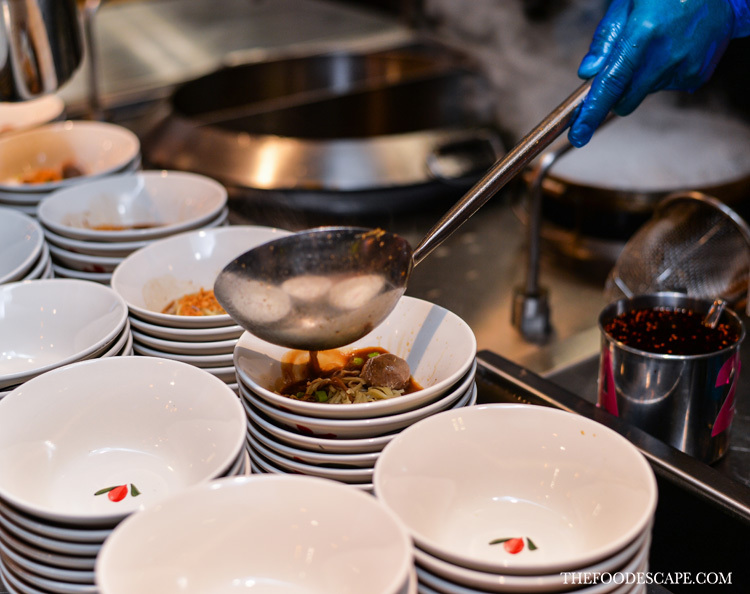 The portion is quite similar, very little so you probably need to order 3-4 bowls to satisfy your hunger. 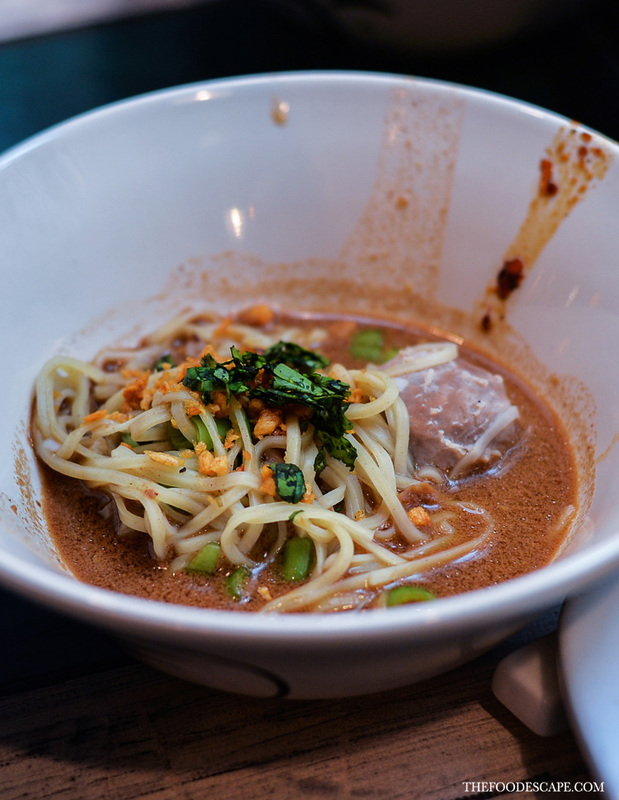 We can choose two types of noodle: Rice or Egg Noodle, and for the meat, we can choose Beef or Chicken. 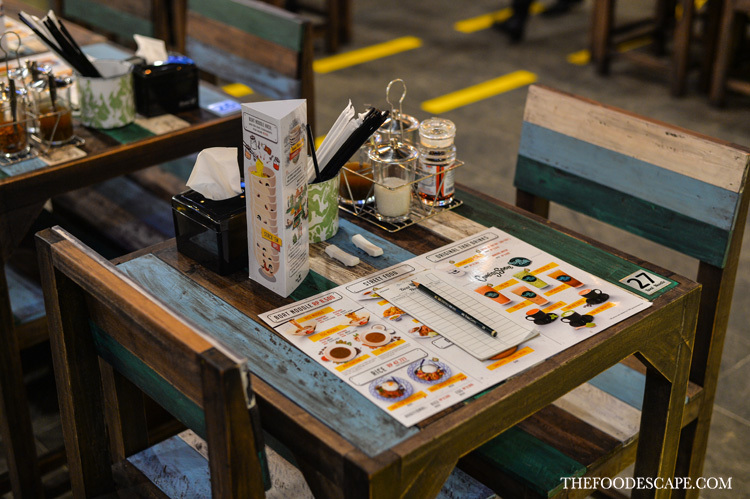 When you are seated, you can write the codes of whatever you want from the menu on the prepared order sheets. 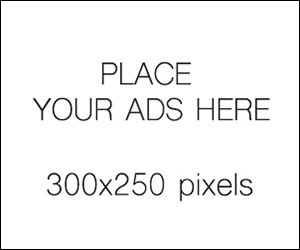 It’s very convenient and efficient at the same time. 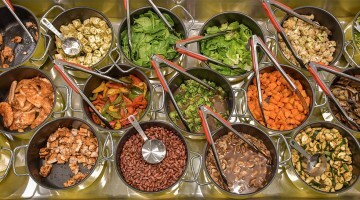 After you have your own customized soup, don’t throw away your first bowl. Instead, put other bowls contents into your first bowl and stack up the empty ones! 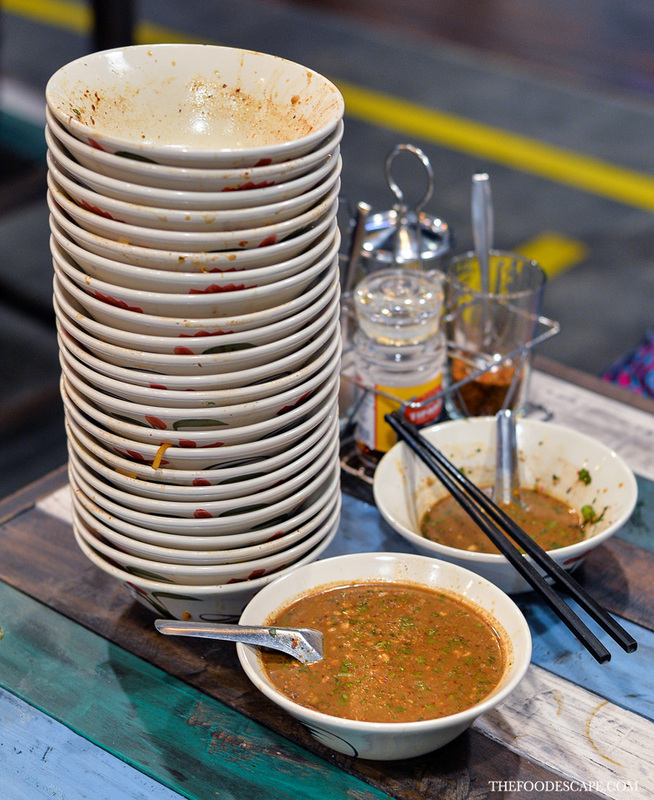 That’s how we are supposed to eat boat noodle and it’s pretty awesome to count how many bowls you can stack up in the end, LOL. 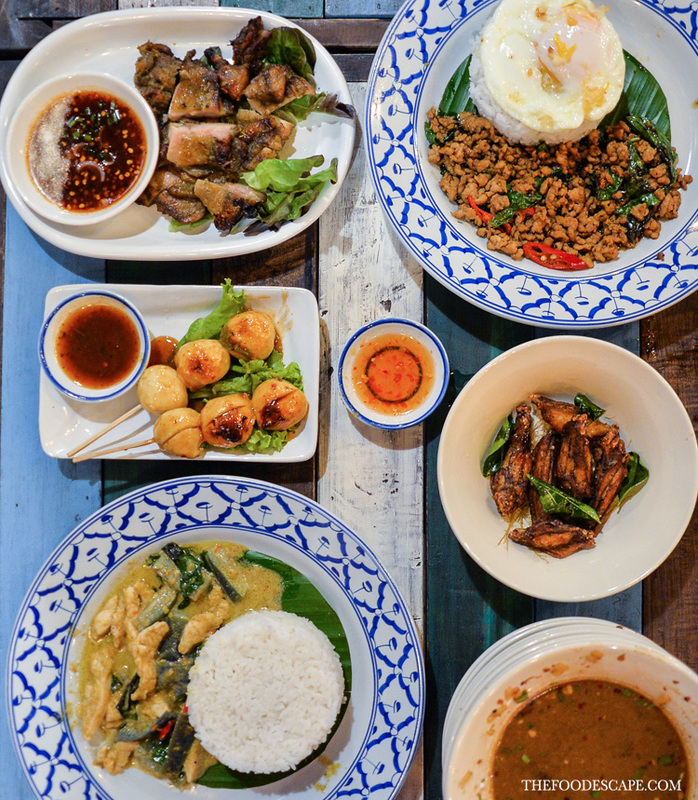 During our first visit, we were ecstatic to find out that both Pathumthani & Ayutthaya broth were very delicious, very close to what we usually have in Thailand. Although we love both, that day I & Mr. K could clearly state that we loved Ayutthaya-style more. 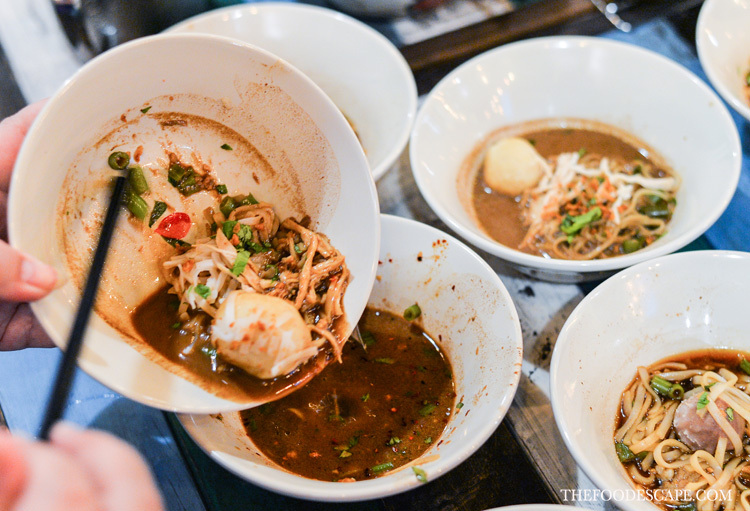 The rich, creamy texture and taste of it haunted us so badly that we had to return to this restaurant the next day after our first visit, only to find that the Ayutthaya-style broth slightly changed. And after the second visit, I always think that the Ayutthaya-style has been dominated with coconut flavor which is totally different from our first time. 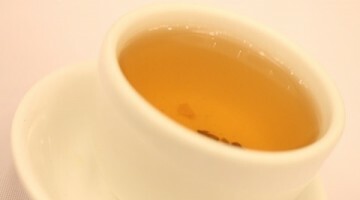 That’s why if you ask me which broth I recommend now, I will definitely say Pathumthani, because it reminds consistent in all 5 visits. 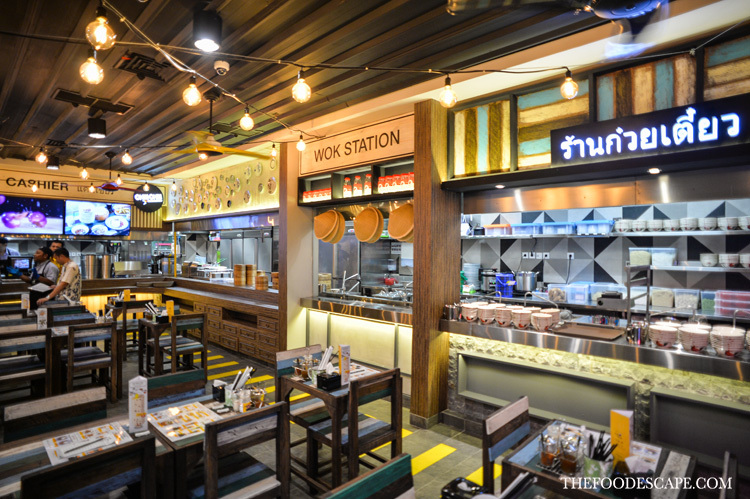 Beside the boat noodles, they also have some side dishes along with famous Thai rice dishes. 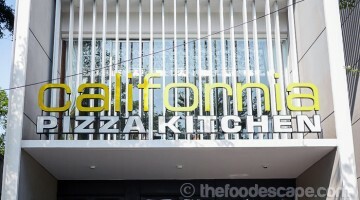 We tried everything on the menu already and pretty much liked them. 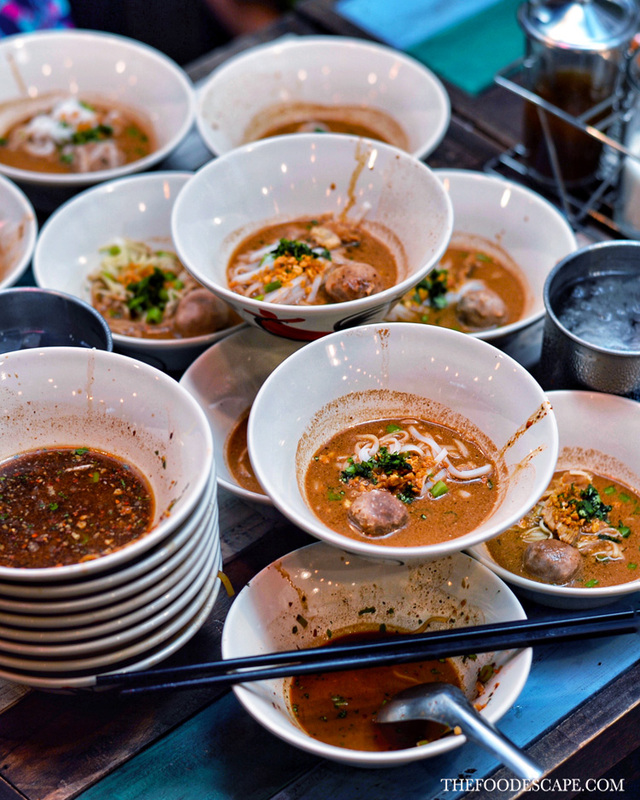 If you have ever been in Thailand, you might notice that grilled meatballs are very common street food sold along the streets or markets. 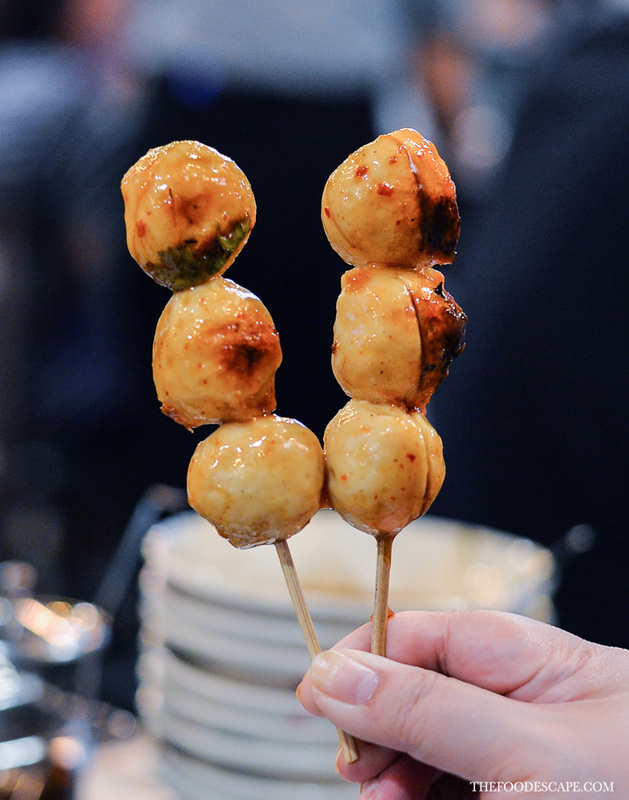 The chicken meatballs here are quite big and served with thick sweet and sour sauce which is a little bit spicy. I could snack this all day long and won’t get bored! 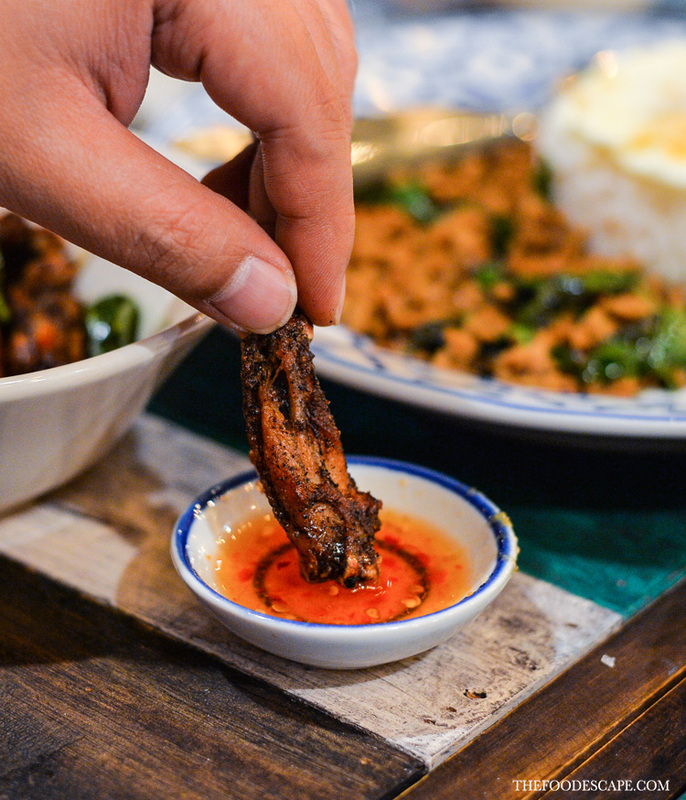 I had big expectation when I saw the recommended sign on the menu, but was surprised to see how tiny the wings are! Rather than chicken wings, they looked more like frogs’ legs to me. Don’t get me wrong, I totally love this tasty, finger-licking snack, they are small but flavorful! 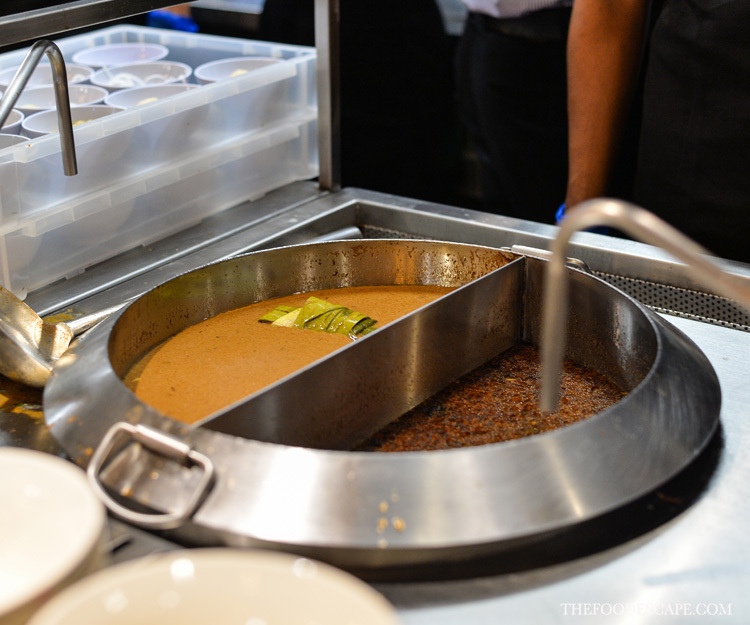 Dip it into the sweet and sour sauce and you’ll find yourself ordering some more. 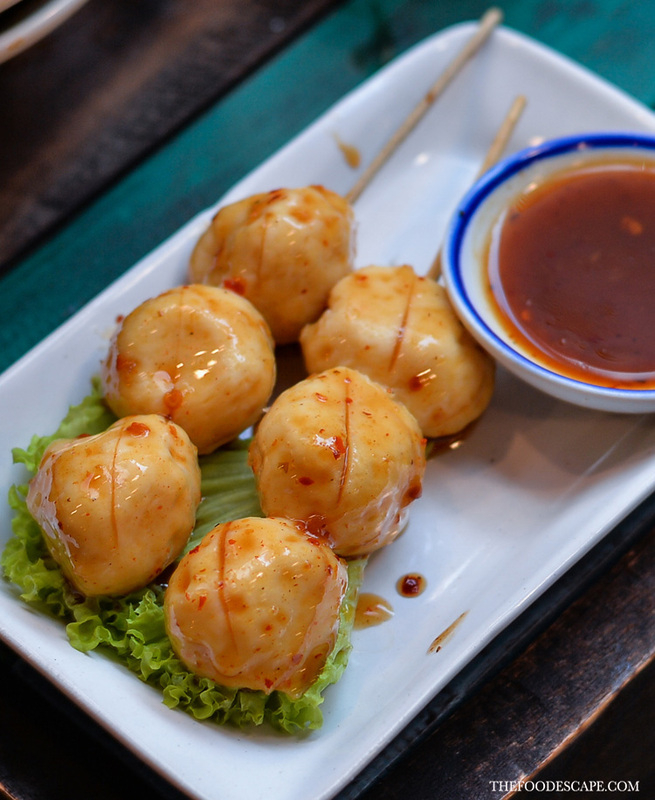 This is my ultimate favorite side dish in Boat Noodle restaurant! 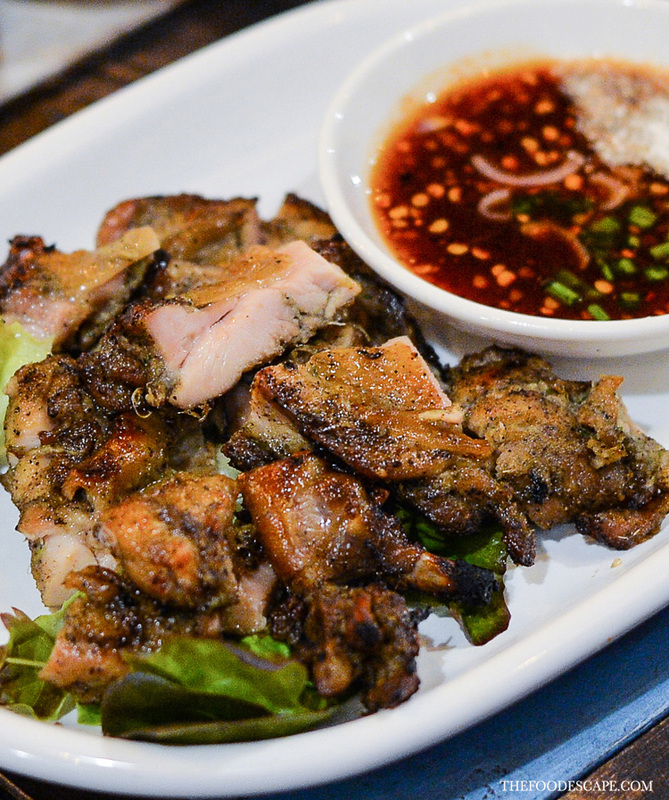 The “legendary chicken” really lives up to its name, with super tender meat and flavorful spices attack, I ordered this in all my 5 visits. Just like the boat noodle, this has become my MUST ORDER item here. For heavier dishes, there are only 2 rice dishes on the menu, and of course, the popular Chicken Basil Rice has to be one of them! 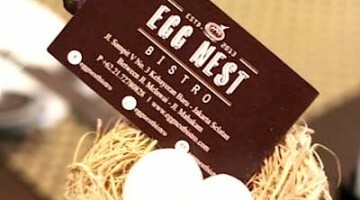 Complete with the egg, we couldn’t ask for more authentic one. 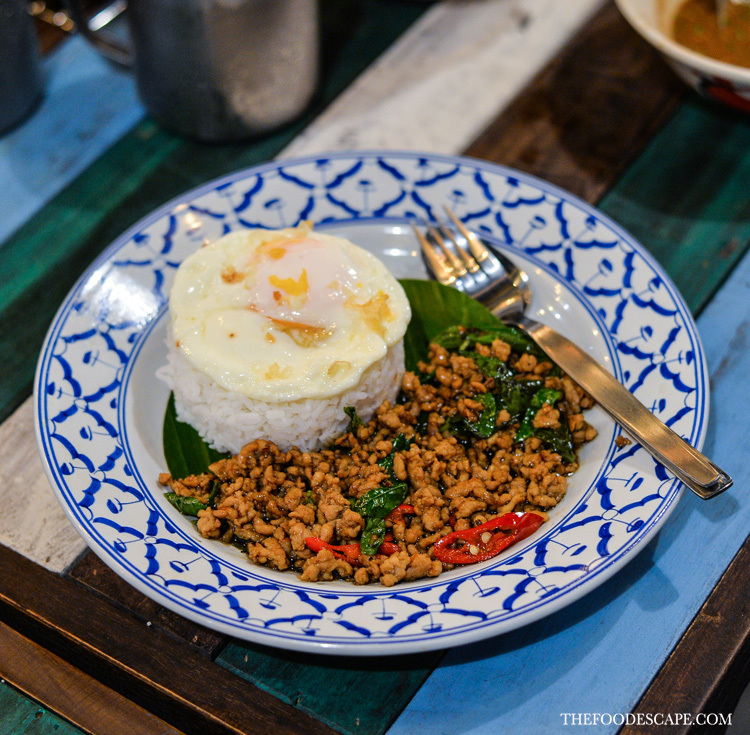 Although it was satisfying enough for us who were craving for some authentic Thai food, we found it a bit too sweet and hopefully next time we will be luckier! 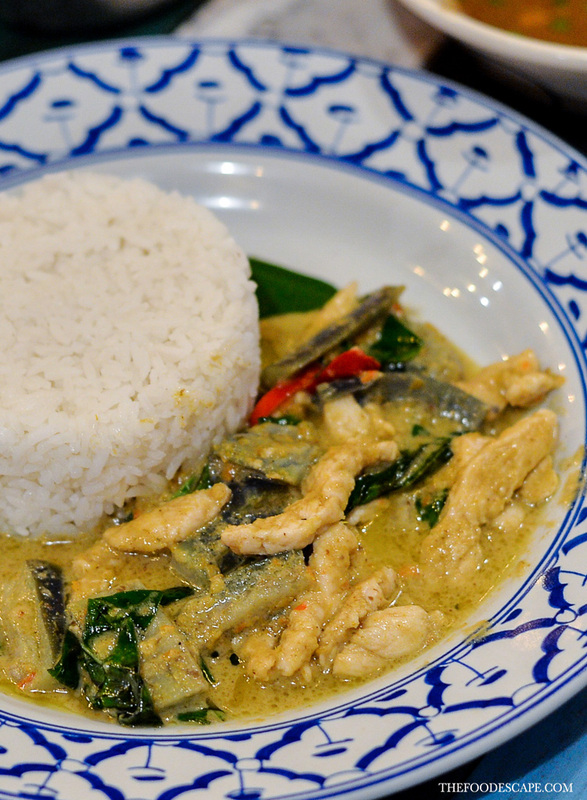 This green curry is good! And HOT. Not that I mind, though. XD It’s so hard to find decent Thai green curry here in Jakarta, and this one surpassed our expectation. 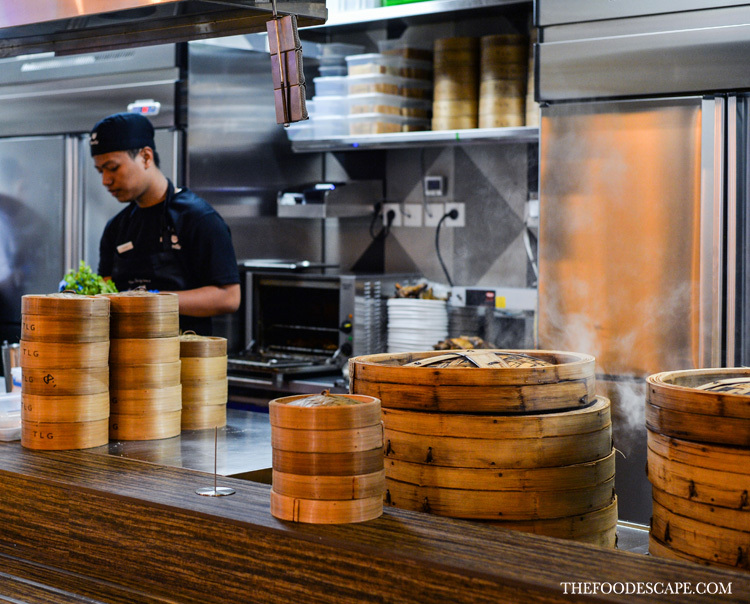 Better yet, you can watch how it’s made using wok, plus the fire show from the open kitchen. Yay! 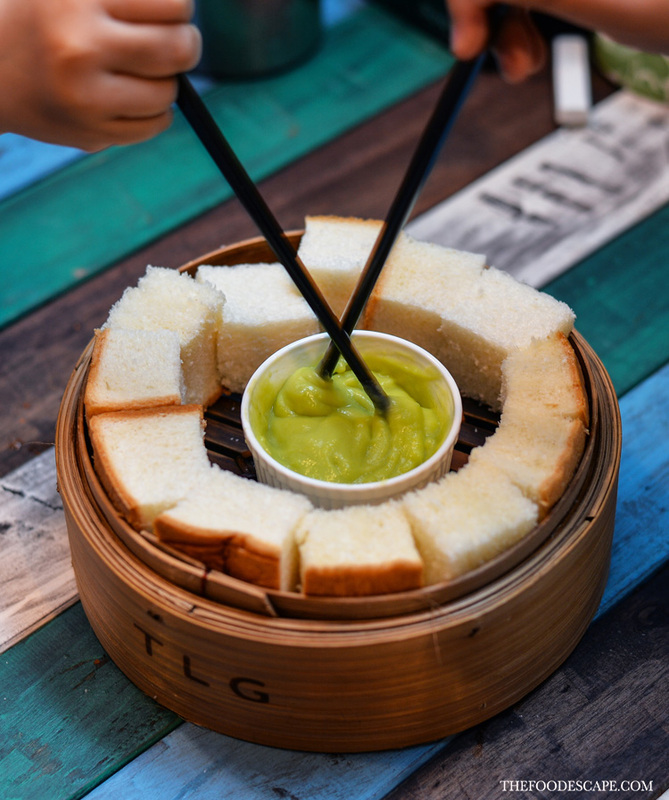 Now, even if you have zero interest on herbs-and-spiced-packed Thai food above, you just have to visit Boat Noodle restaurant because trust me, you’re gonna love this: the Sangkaya Steamed Bread! 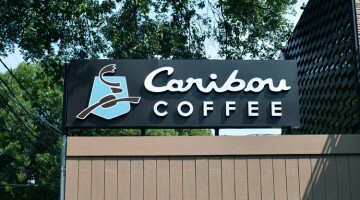 This one is definitely MUST, MUST, MUST TRY!!! Currently they only have this for dessert but it’s more than enough to put smile on my face. 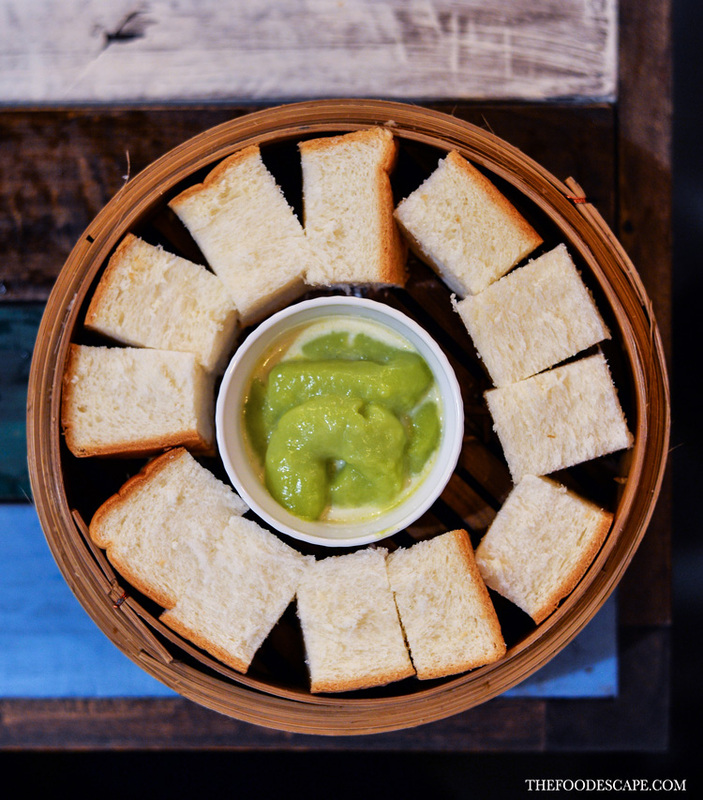 To eat this, we just have to mix the sangkaya paste before we dip our bread into it. It’s CRAZILY GOOD I wanted to cry. 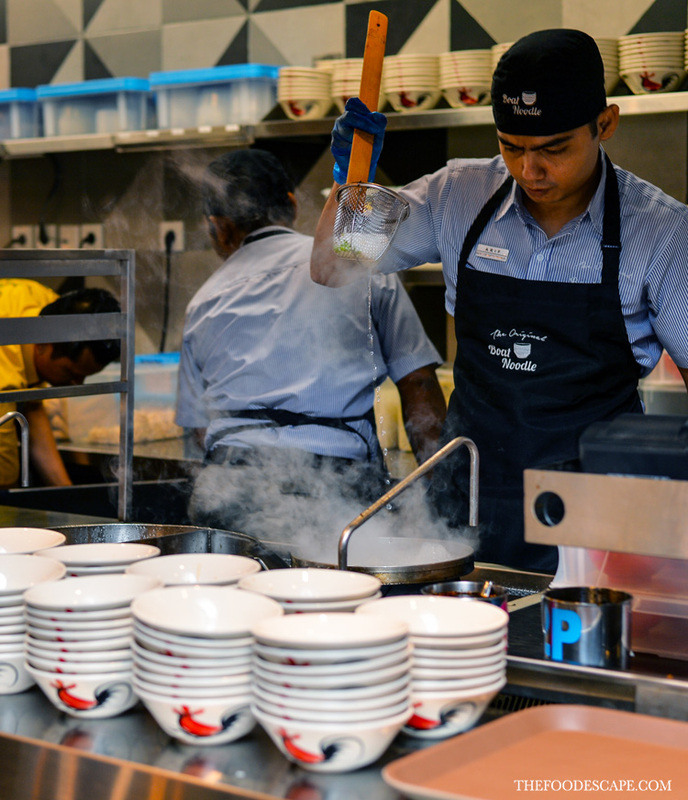 Sangkaya is one of our favorite Thai delicacies and we are so glad to be able to enjoy it in Indonesia! 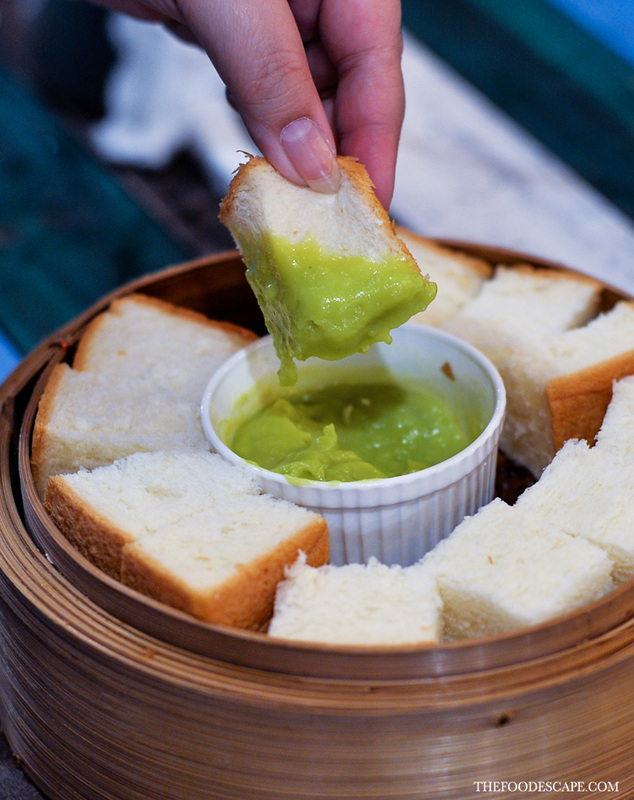 The bread is soft and fragrant, and you’ll need to eat this as soon as it’s delivered onto your table because otherwise, the bread will get hard when it’s cold. Arghh, it’s so frustrating to write this in the middle of the night and I can just drool looking at the pictures! 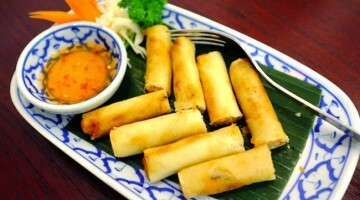 Beside its food, Thailand also is popular with so many yummy drinks. The Drink Of The Day is actually Pandan water served with lots of ice, just like in original country. It’s not too sweet, but to make sure it suits your preference, you can order to put the sugar separately. The blended coconut is thick and made using real coconut, so don’t miss it if you are a coconut’s fan! 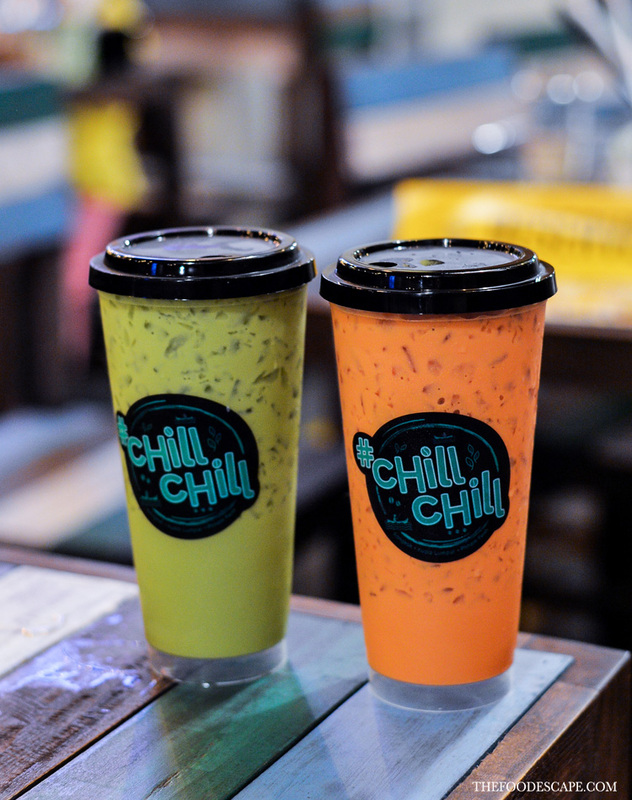 We also had a chance to try their upcoming beverages (coming real soon, hopefully this month on August) called Chill Chill, where they offer authentic, famous Thai drinks like Thai Tea, Thai Green Tea, Thai Coffee, and Thai Lemon Tea. Everything is available in cold and hot options, and for the cold drinks, you can even bring the glass back home! In the end, we always notice that it’s difficult to control ourselves when we can get boat noodle here in Jakarta with such an affordable price. 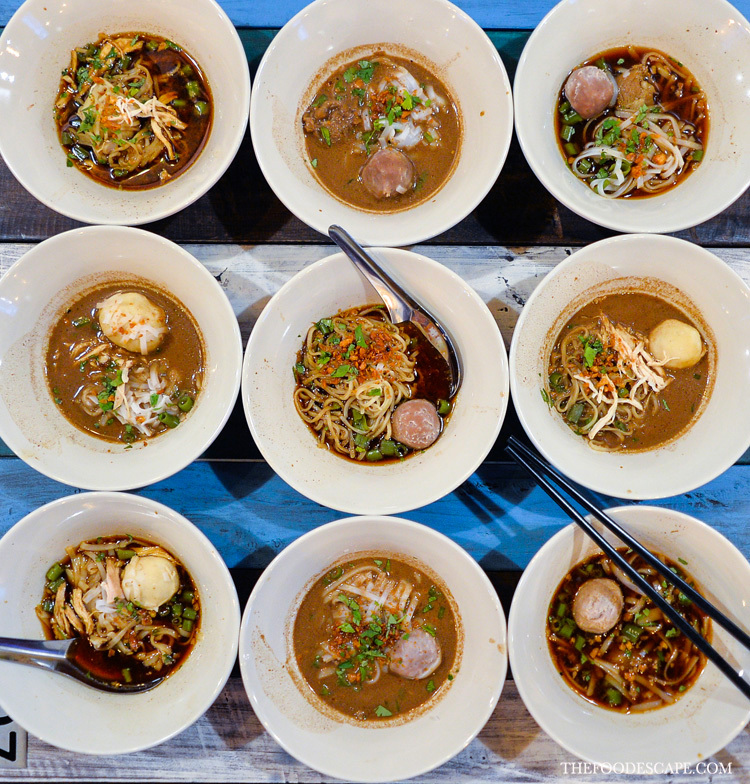 For myself, the minimum order is usually 4 bowls but when I am really hungry, 10 bowls order is a definite answer. 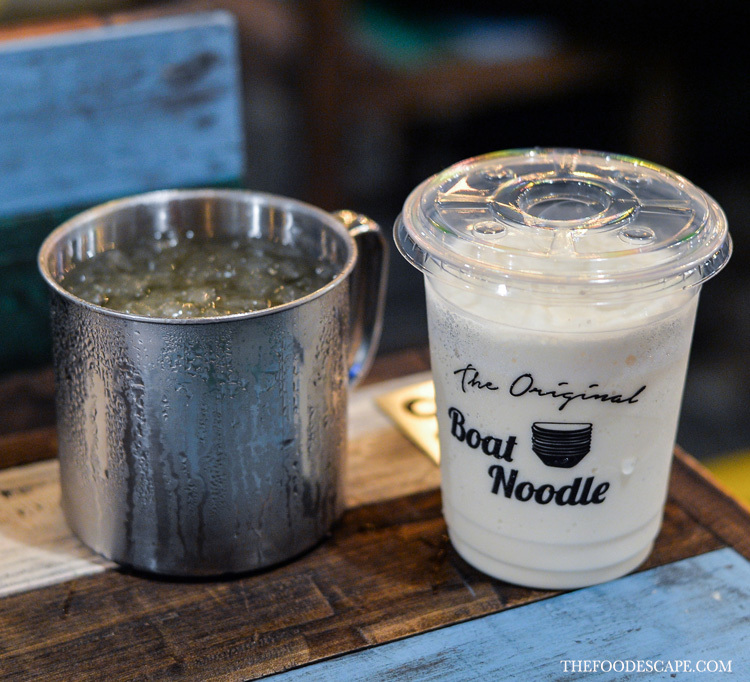 Last year, when I wrote this post about a boat noodle shop in Bangkok, I actually got many emails asking where to find Thai boat noodles here in Jakarta. Seriously, I didn’t know any and was also hoping that someday there will be one! 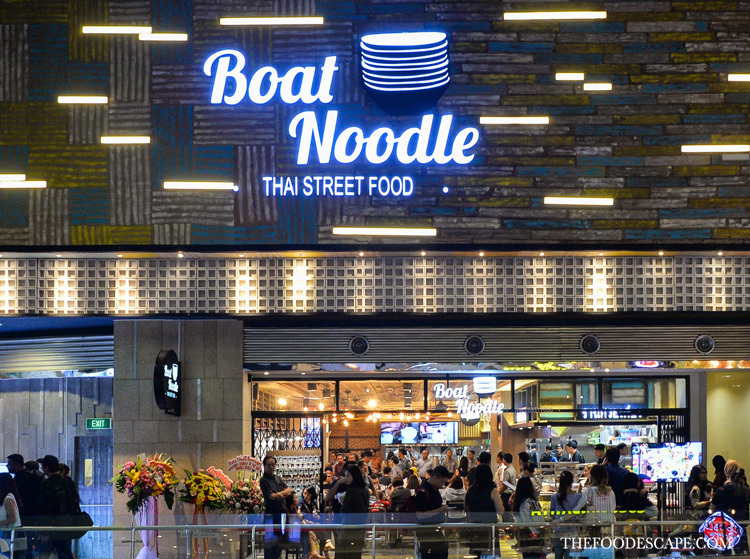 Now if someone asks me the same question, I will be glad to say there is a restaurant specializing in Thai boat noodle and it’s good, too! Last but not least, congratulations Boat Noodle Indonesia for the opening and you shall see more of us often, LOL! 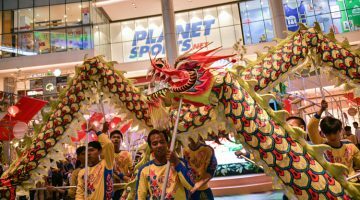 ** This review is written based on our visit on 22-23 July 2017. Previous post Good Day Originale Cappuccino: Makin Gaul Dengan Kemasan Botol!